Monte Carlo calculations have been performed using MCNP code to study the generation, angular distribution and energy spectrum of photo-neutrons for 1 GeV and 150 MeV electron beam energies impinging on different thickness of Tungsten, Tantalum and Lead targets. It is noticed that the photo-neutron yield increases as the target thickness increases then saturates beyond an optimized thickness of the target. Moreover, the photo-neutron yield shows significant increase as the electron energy increases. At the optimized thickness, the angular distribution of photo-neutrons is found almost isotropic for 150 MeV electrons and anisotropic for 1 GeV electrons. Further, by increasing the electron energy and/or the target thickness the angular distribution is found to be forward peaked. The energy spectrum of photo-neutrons can be well described by a Maxwellian distribution for both electron energies. Such calculations can help in developing a photo-neutron source based time of flight facility (TOF) for elemental and isotopic identification via neutron resonance spectroscopy. 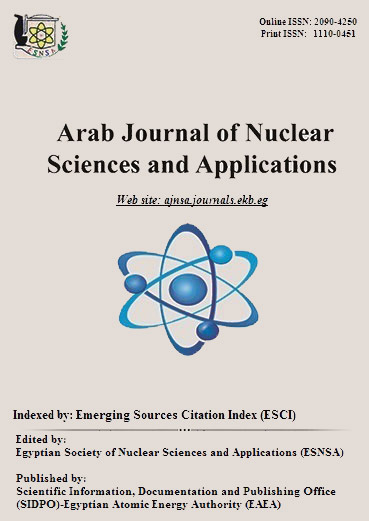 Photo-neutron yields, angular distribution, mean energy, energy spectrum and nuclear temperature for 1 GeV and 150 MeV electron energies and different target materials are presented.